Homeowners living in landed homes often have no choice but to install their washing machines and dryers outdoors. Oven if the machines are partially sheltered, they are still subject to strong sunlight and rainwater that gets splashed on them when strong winds blow. 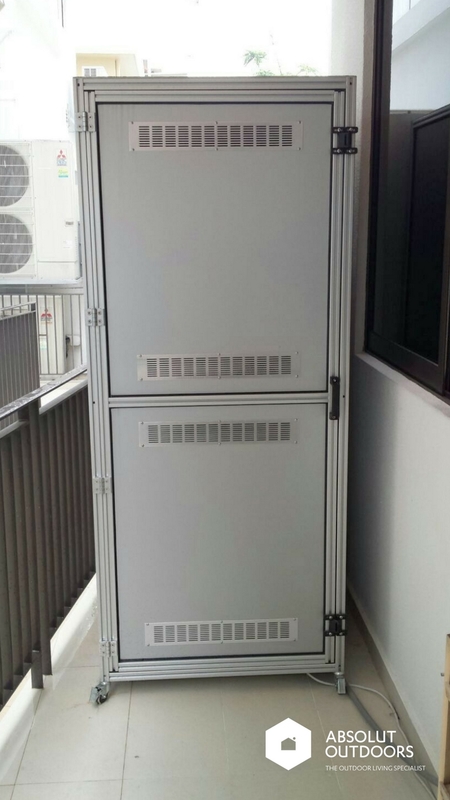 In thunderstorms that are common in Singapore, these machines may trip up the power supply of the home due to the presence of rainwater. In time to come, their washing machines and dryers tend to “age prematurely” (yes, even machines can age prematurely) and look really worn out. The performance of the washing machines and dryers may also be affected and their useful life shortened. So, just as we apply sunblock on our faces and generally stay out of the rain, it’s also a good idea to provide shields for your washing machine and dryer. Our solution is this customized shield made of Aluminium Composite Panels and Aluminium frame. This lightweight shield does its job in protecting your washing machine and dryer from the sun and rain. We built ventilation panels to ensure that the ambient temperature is regulated and to prevent the machines from over-heating. They serve as a housing for your washing machine and dryer. When not in use, simply close up the cover for a neat and uncluttered look. 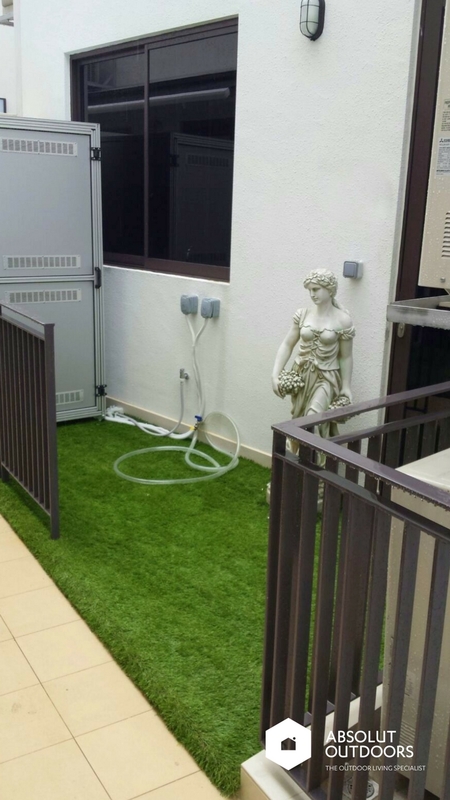 These are suitable for landed homes, cluster houses and even apartments as some people choose to put their washing machines or dryers out on the balcony. To customize your washing machine and dryer cover, contact us at enquiry@absolutoutdoors.com today! 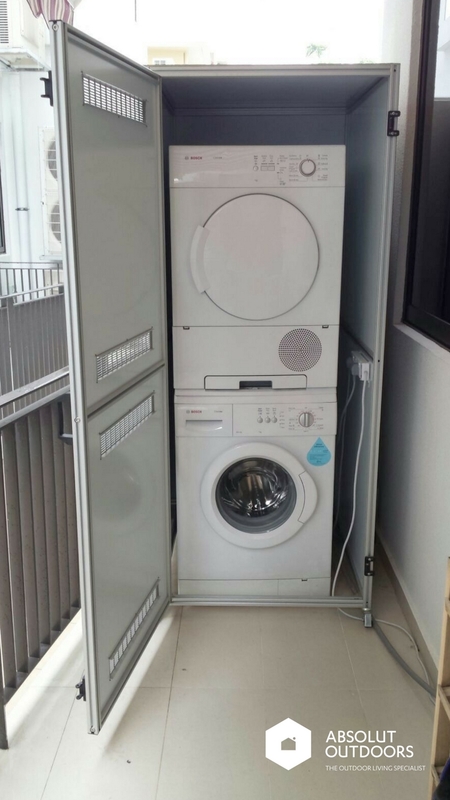 i would like to have a quote for Customized Aluminium Composite Panels and Aluminium frame Covers for Washing Machines placed outdoor.